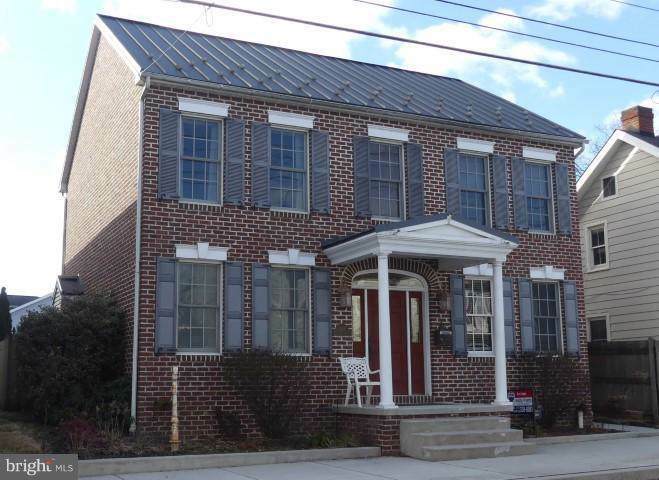 All brick Federal-style home built in 2003 located in Historic Downtown Gettysburg! All the beauty, detail, and old world character without the old house issues. 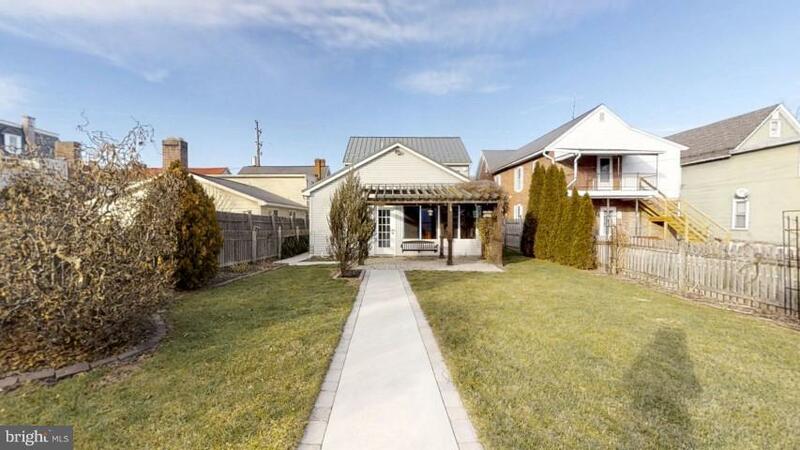 2,514 sq ft, 5 Bedrooms, 2.5 baths, plus 800 sq ft studio apartment over detached 3 car garage. The apartment can be rented long-term or as a possible owner occupied Airbnb/VRBO for extra income. Owner suite with full bath, walk-in closet, and separate entrance through rear sun room could also be used as Airbnb, still leaving 4 bedrooms, office (with 21 built-in mahogany shelves, chair railing and crown molding), 2 living rooms (with pocket doors and 1 with gas fireplace. ), and dining room for use by owner. Hardwood flooring. Kitchen features Corian counters, tile floor and backsplash, and access to huge laundry room/pantry (50' of shelving). A moveable island is in the pantry, but also fits under open shelving in the kitchen. Front windows are 12 pane with wiring for candles. Master bath has heated floor and could be expanded into a large walk-in closet. Cannonball closures on yard gates. Way too many features to list in full here. See attached docs for more info. Culp's Hill/Spangler Spring battlefield starts just a half a block away. 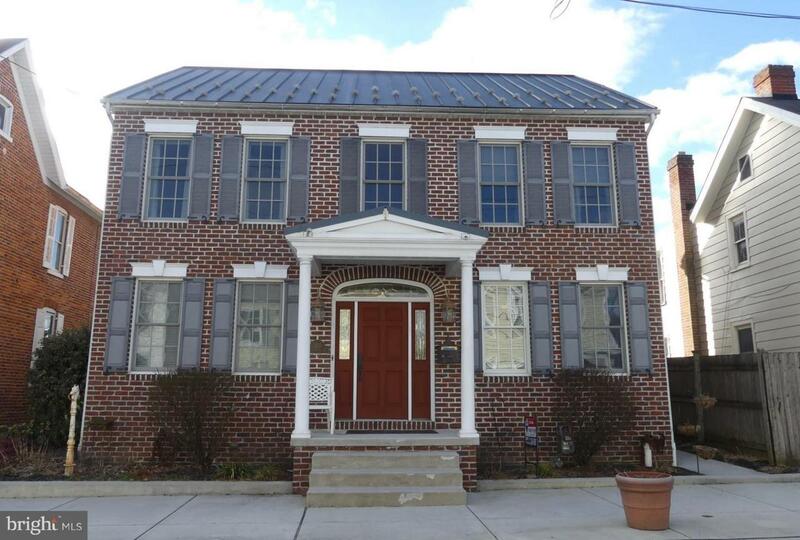 Also walkable to 2 dozen restaurants, 3 live performance stages, public library, movie theater, boutiques, beauty salons, football stadium, ice cream shops, basketball courts, playgrounds, tennis courts, a track, Gettysburg College, etc. Two parades, Memorial Day and Remembrance Day, march right in front of the house.